Tanisha Johnson is presently an Office Administrator for RE/MAX Gold Coast Realty, one of the country’s largest real estate firms. Tanisha is also the founder, owner and operator of Pleasantly Entertained, an entertainment company for special events with a niche in children’s entertainment. 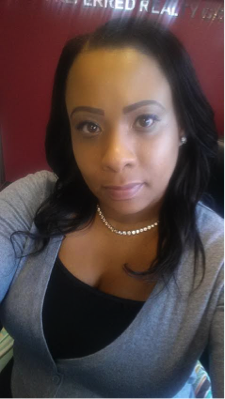 Prior to starting her business, Tanisha was a dedicated Administrative Assistant for small construction companies; assisting with organizing and managing their start-up processes. She also spent time teaching Special Education students, as well as facilitating administrative duties for the Jersey City Board of Education. Tanisha has a B.S. in Criminal Justice from New Jersey City University. After completing the New Jersey Real Estate preparatory course with Weichert Realty in Hoboken, NJ, she obtained her Real Estate License. Tanisha spent 11 years as an Army National Guardsmen. She faithfully served as the office assistant to her company and her battalion during those years. She earned a Sharp Shooter badge and graduated from Basic Training and AIT at the top of her class. Tanisha is married to Darett Johnson and they have two wonderful, talented and beautiful daughters, Danasia and Dara.